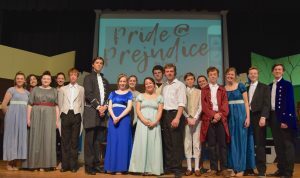 The cast of Summit Christian Academy’s Theatre Department invites you to their performance of Pride @ Prejudice at 7 p.m. this Thursday – Saturday (April 11-13) on the Summit Christian Academy Stage (1450 SW Jefferson Lee’s Summit, MO 64081). 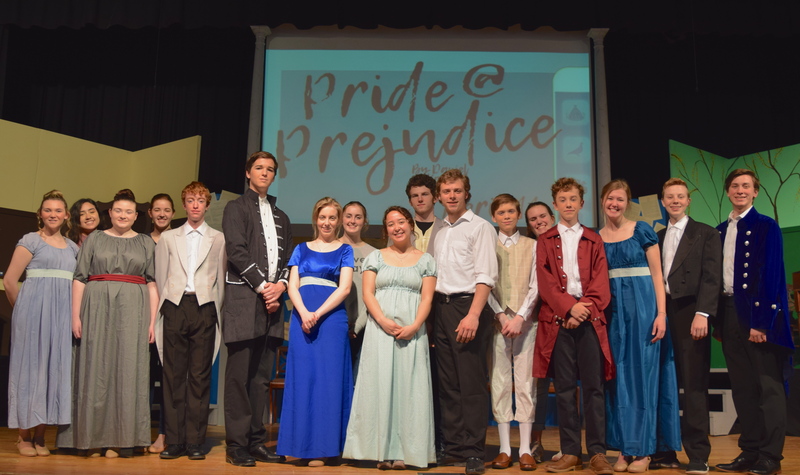 The Summit Christian Academy (SCA) Theatre Department will present Pride @ Prejudice, with performances at 7 p.m., April 11 – 13 on the Summit Christian Academy stage located at 1450 SW Jefferson in Lee’s Summit. Pride @ Prejudice, written by Daniel Elihu Kramer, is a hilarious and moving homage to Jane Austen’s most beloved novel. Watch Elizabeth Bennet and Mr. Darcy fall in love all over again with modern voices building on this classic love story in the form of blog posts, chat room discussions, and quotes from film adaptations to create a delightfully postmodern view of 19th century England.